Dusane’s new Keno game has been developed using the significant experience and expertise gained from the deployment of our virtual sports games with clients on a global basis over the past 11 years. A common GLI certified platform is used across all products ensuring system reliability and credibility. Dusane’s Keno game has been designed with maximum flexibility to allow cost effective deployment of the system to both large venues such as casinos and smaller venues such as betting shops and gaming halls. The system accommodates both a virtual ball blower as well as a physical ball blower if required. The attractive graphics and information screens delivered by Dusane’s Keno system allows for maximum client involvement to maximize entertainment and spend in your venues. Aside from Keno and virtual sports, the system also provides for all major game variations, including bingo and lotto, if these are required. The Dusane Gaming Transactional System is an “enterprise-class” gaming platform. The system shall be customized to conform to all the needs of a client and effect a secure, reliable, and feature complete solution. As the heart of the gaming operation, the Dusane Gaming Transactional system processes all bets, validations, reporting, ticket management and accounting functions, to name just some. The system has been engineered to operate with no single point of failure. It does so in a secure way ensuring the integrity and transparency of the gaming operation, including each and every transaction and related data. 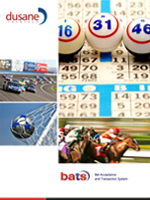 Dusane’s best of breed Keno product benefits from experience we have gained in the gaming industry along with the analysis of Keno operator needs and experiences with their systems. Our game maths is flexible allowing you to modify payouts, margins and jackpot contributions, if required. Bet limits can be set based on your requirements. We have the requisite knowledge to advise on balancing payouts between big payouts on many numbers and regular payouts on few numbers. Our Gaming system is flexible in defining the Keno parameters. It supports a traditional 80-numbered ticket and a draw of 20 numbers whose function is similar to a standard lottery. The ticket is divided into a two halves, with numbers 1-40 on the top and 41-80 on the bottom. Apart from this combination, the game administrator can change to a 15 / 80 combination through the game configuration screen. STRAIGHT BETS, as the name implies, this is the most straightforward keno ticket of all. The player choses from 2 to 15 numbers (Spots). The number of spots enabled is also configurable. BET AGAINST, is enabled for 8 Spots and above (this is configurable) on the ticket. With this option, the player is betting that none of the numbers marked will be hit. Player is paid only if none of the marked numbers get hit. The HIT ALL, option can be played with 2 to 7 Spots marked on the ticket. Player is betting that all the numbers marked will be hit. Player will be paid only if all the numbers marked are among the 20 drawn numbers. HIGH ROLLER, is like a straight bet. However the Spots attract less numbers of prize levels. So a Spot 5 Straight bet attracts a prize from level 2 to 5. A High Roller bet would get a higher payout but only for levels 4 and 5. HEADS, TAILS OR EVEN, here player is betting that the top or bottom half of the ticket will have more hits than the opposite half. Player doesn’t mark any spots, they just select Heads if the Top half has more hit, Tails if bottom has more hits and Even if both half has the same number of hits. Dusane’s Keno system allows for the use of either a virtual ball draw or a physical ball draw device. In some markets a physical ball draw device is important for result credibility.If a physical ball draw device is opted; our will system provide flexibility in it, so that it can interface with the hardware device of your choice. 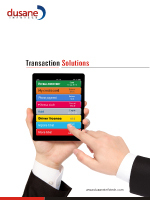 Our transaction system settles all paying tickets. We can implement management authorisation on payouts greater than a preset value. 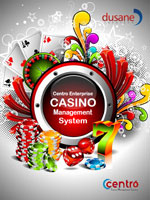 We can also interface with any casino player tracking system and/or account system if required. The EPOS terminal has a user friendly interface. It is designed to also serve as the SST interface by simply disabling the admin component. It easily interfaces with periphery hardware like a printer, scanner and card reader. We also use a 2ndplayer-facing screen on the EPOS which serves to both teach players how to use the SST and confirm selections. We understand that each player has a different method of number selection, so our aim is to provide a system that is as flexible as possible to accommodate all styles of game play. 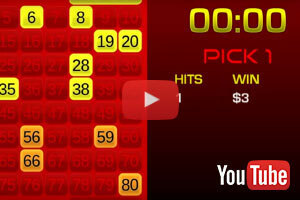 Players have to feel that the system allows them to maximise their luck in choosing their lucky numbers. Pre-printed game entry slips can include up to 4 grids to maximise game play and make it easier for players to make their selections. The game entry slip will be handed to the cashier to capture the player’s selections on the Keno system. 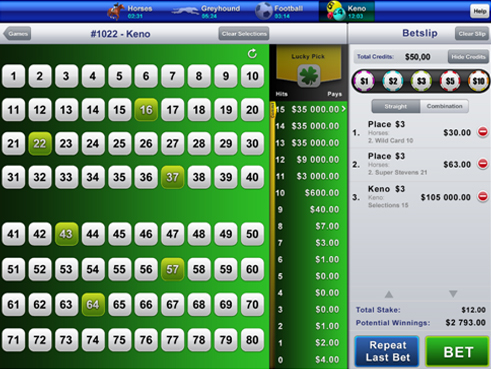 The Keno system would then print a bet receipt for the player. The administration interface is available to staff users and offers a variety of game configuration options and reports.